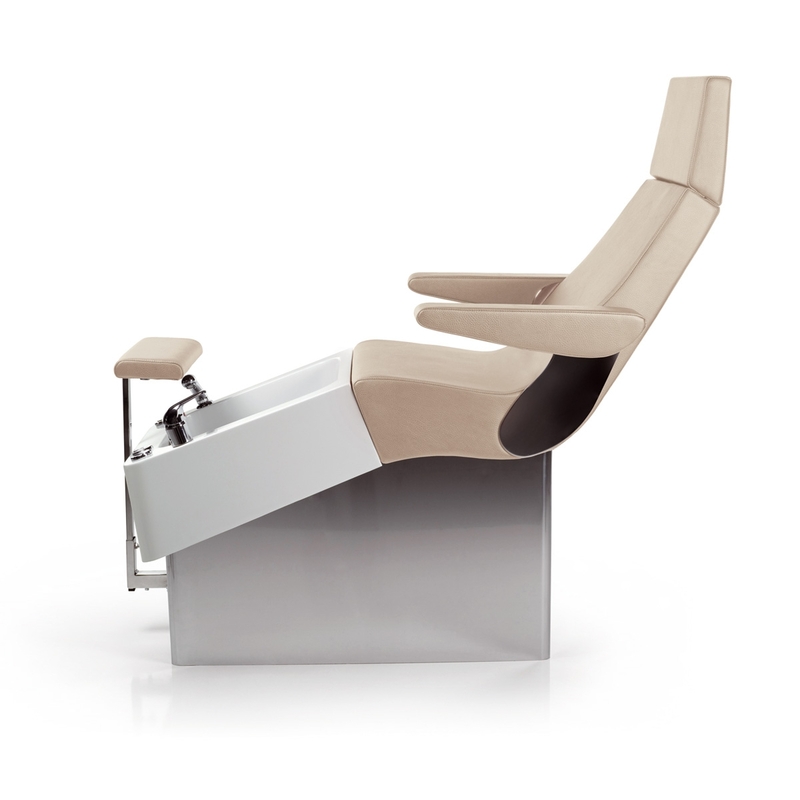 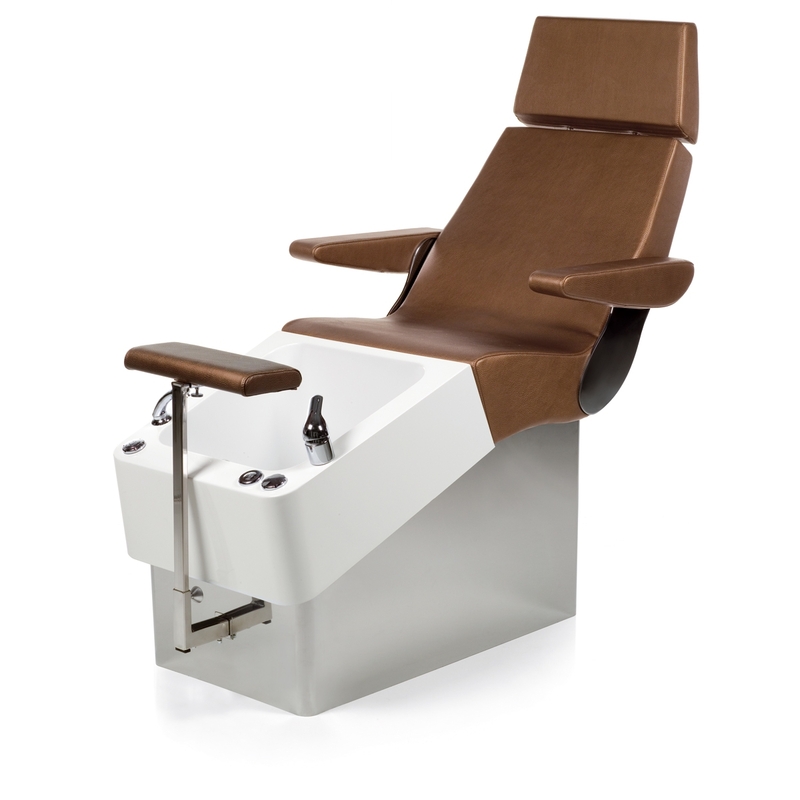 Pedicure spa with built-in shiatsu massage, reclining back, removable headrest, pivoting arms for easy enter and exit, faucet with sprayer, integrated tub, on/off switch, air regulator low to max and detergent port. UL listed components. 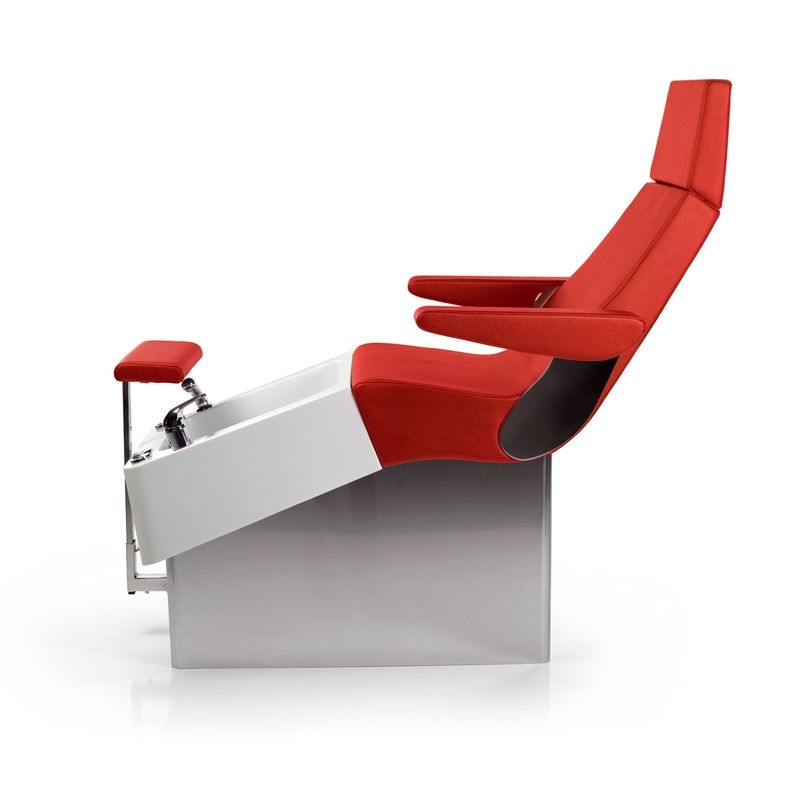 Available in 20 different colors.